Welcome back for part two of my series addressing some of the most commonly asked questions by businesses. In part two I am going to focus on the most frequently asked question, “What can I do so I do not get sued?” With such a complex question in mind, this article is by no means comprehensive and simply meant to provide a basic understanding of what businesses are obligated to do to ensure people with disabilities are not excluded. Who/Where? Businesses that provide goods or services to the public are called “public accommodations” are covered by Americans with Disabilities Act (“ADA”), regardless of the size of the business or the age of their buildings. Public accommodations include stores, restaurants, bars, service establishments, theaters, hotels, recreational facilities, private museums and schools, doctors’ and dentists’ offices, shopping malls, and other businesses. What? 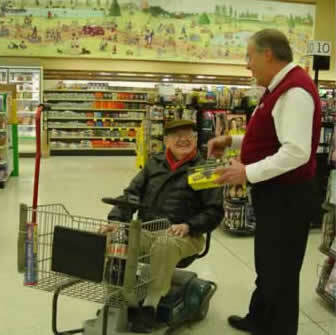 Public accommodations are required to (1) modify their business policies and procedures when necessary to serve customers with disabilities, (2) take steps to communicate effectively with customers with disabilities, (3) remove architectural barriers in existing buildings and (4) make sure that newly built or altered facilities are constructed to be accessible to individuals with disabilities. Businesses that do not provide goods or services directly to the public, such as commercial facilities like office buildings, factories and warehouses, are only subject to the ADA’s requirements for new construction and alterations and have to ensure any newly built or altered facilities are made to be accessible. Business have to make “reasonable modifications” in their usual practice when it is necessary to accommodate customers who have disabilities. Typically accommodations involve making minor adjustments in procedures or providing additional assistance to a customer with a disability. When? For reasonable modifications and accommodations- anything that would result in a fundamental alteration – a change in the essential nature of your business – or would cause a “direct threat” to the health or safety of others is not required. Businesses have to remove physical barriers in existing facilities to improve accessibility where it is “readily achievable”- when it can be easily accomplished, without much difficulty or expense – to do so. Barrier removal is an ongoing obligation and the determination of whether barrier removal is “readily achievable” is usually on a case by case basis. How? The ADA does not explicitly state what each business must do in every situation and leaves discretion to the business to determine what is reasonable based on how the business operates and what kind of accommodation the person needs because of his or her disability. Similarly, what a business has to do to communicate effectively with customers with disabilities varies based on the business. What is required to communicate effectively when discussing a loan application at a bank or buying a house will likely be different from what is required to communicate effectively at a gas station. An important and often disregarded factor of ensuring success is widespread and continuous training for staff. A business may have great written policies but if the staff who deals directly with the public is not aware of the policies or does not know how to implement them, a business can run into an array of issues. Business should incorporate training about the requirements of the ADA for their staff so they understand the obligations and are aware of the role they play in ensuring individuals with disabilities are included in everyday activities and throughout the community.